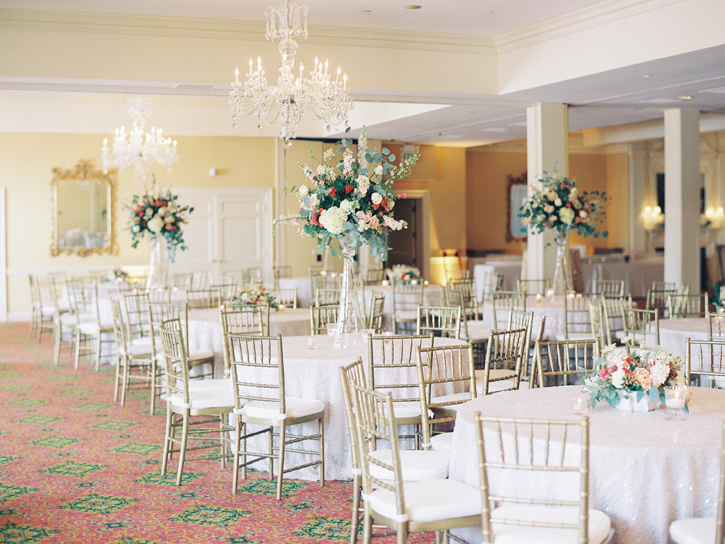 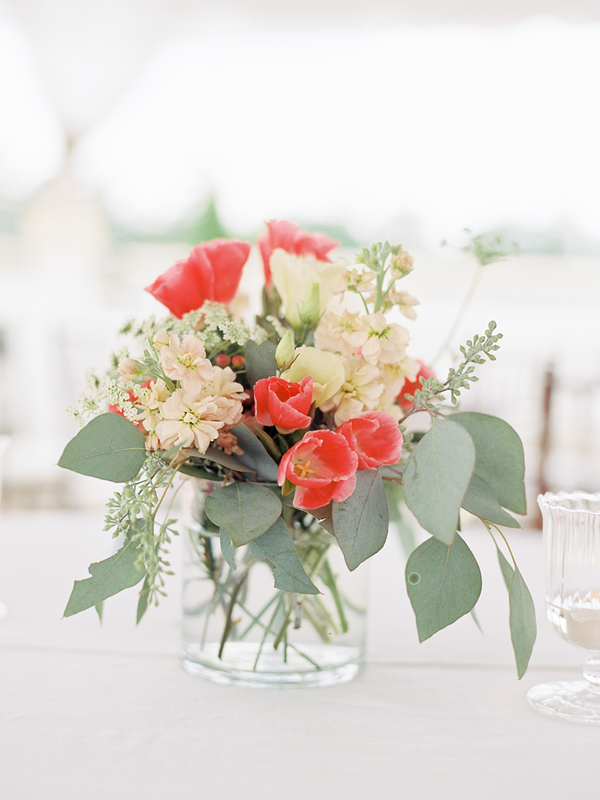 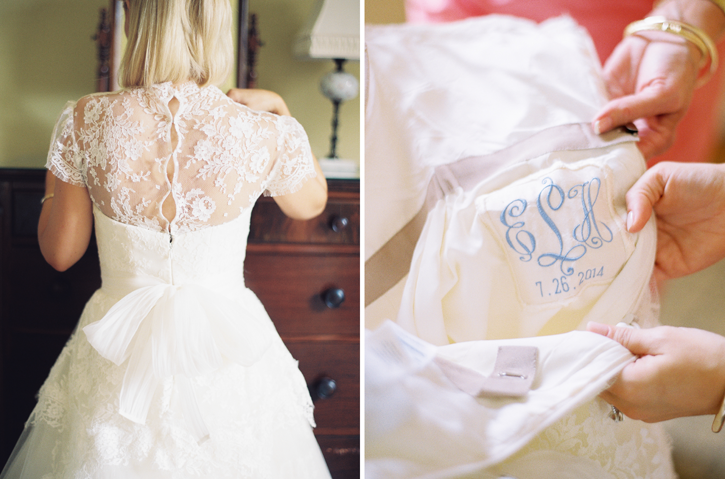 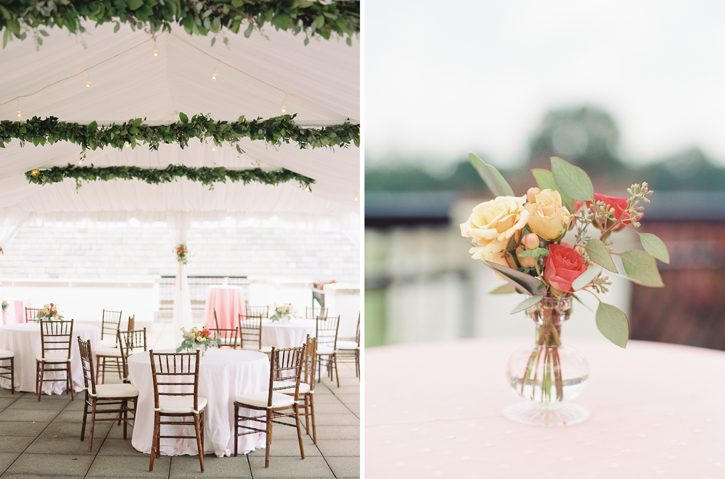 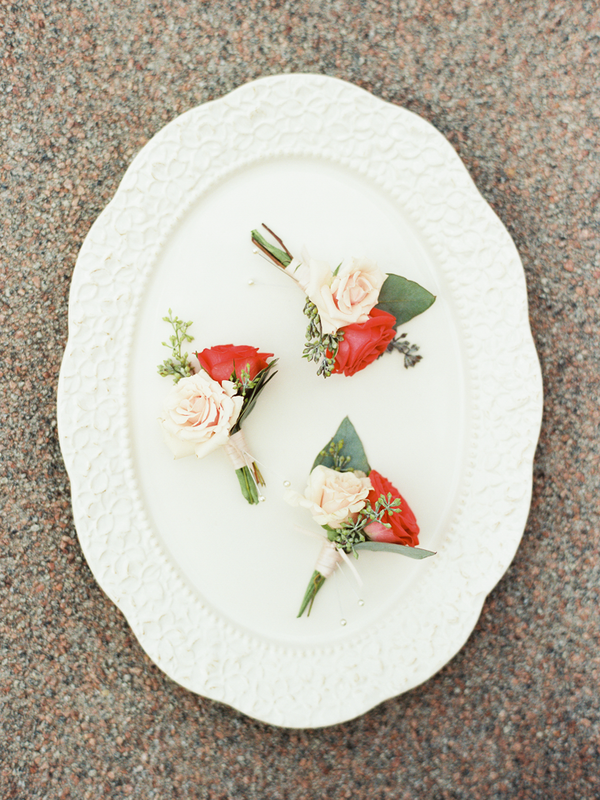 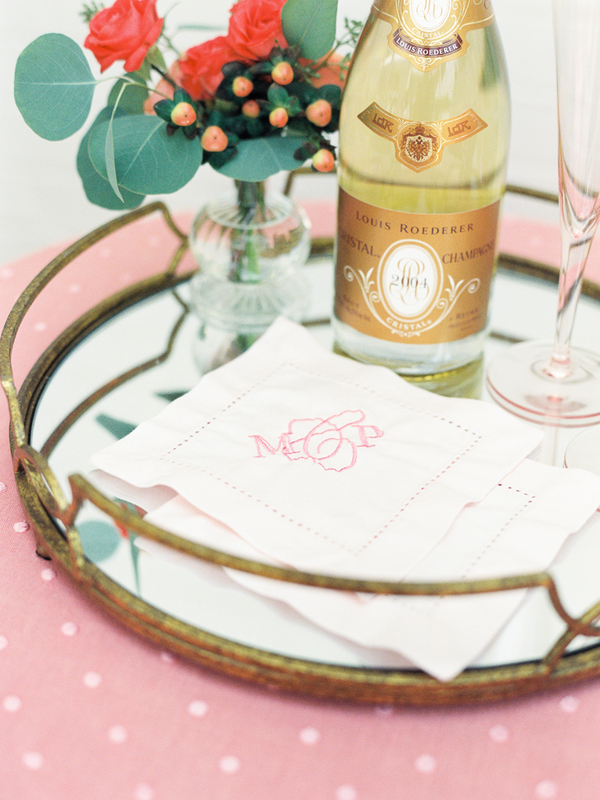 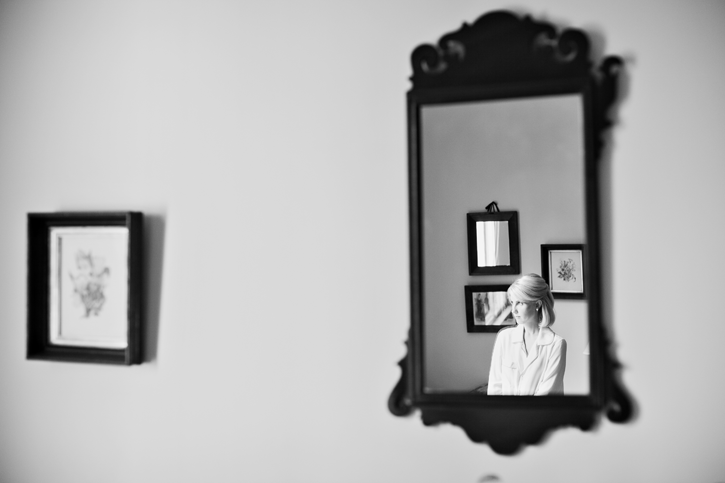 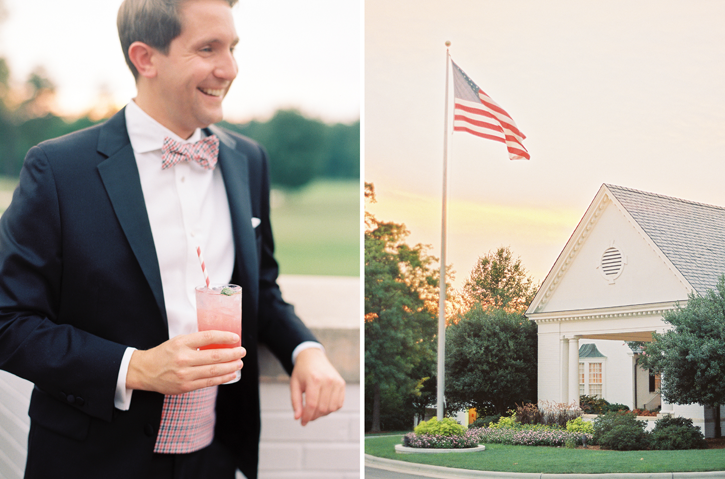 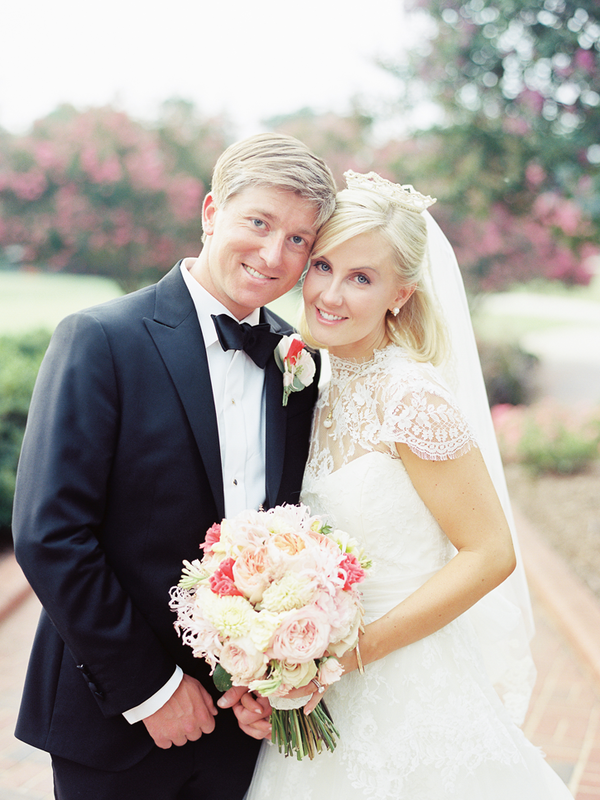 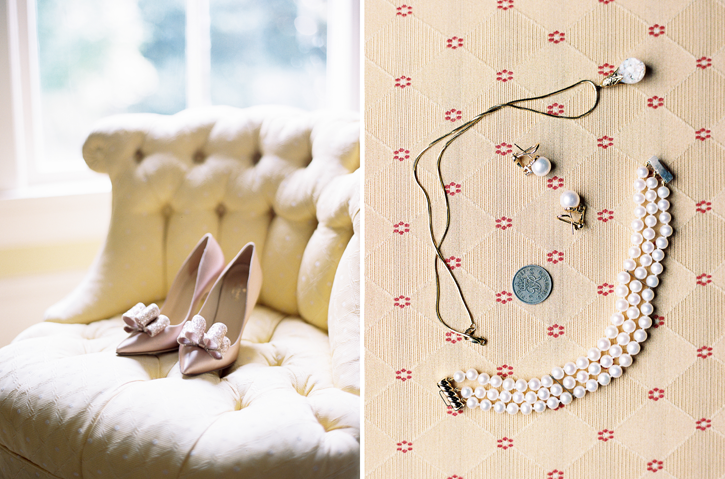 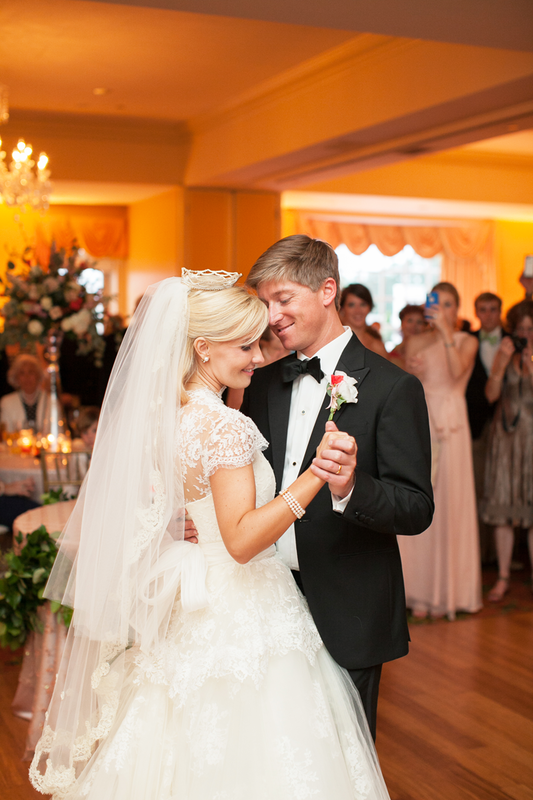 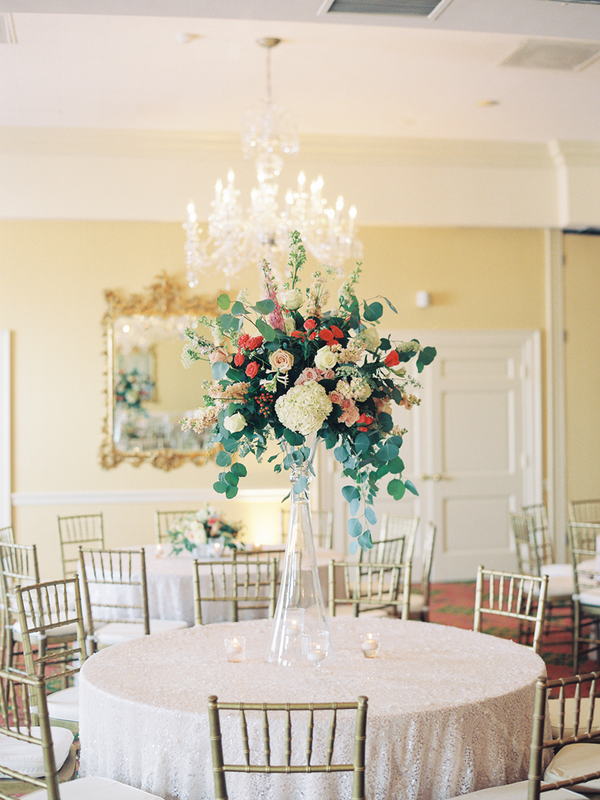 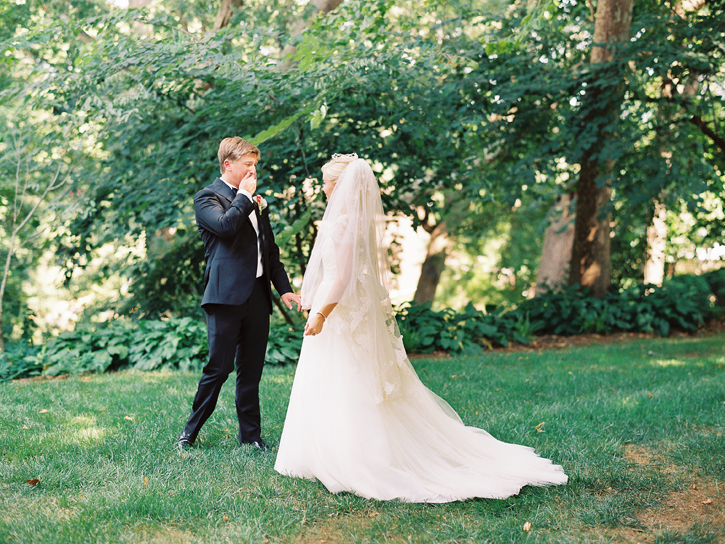 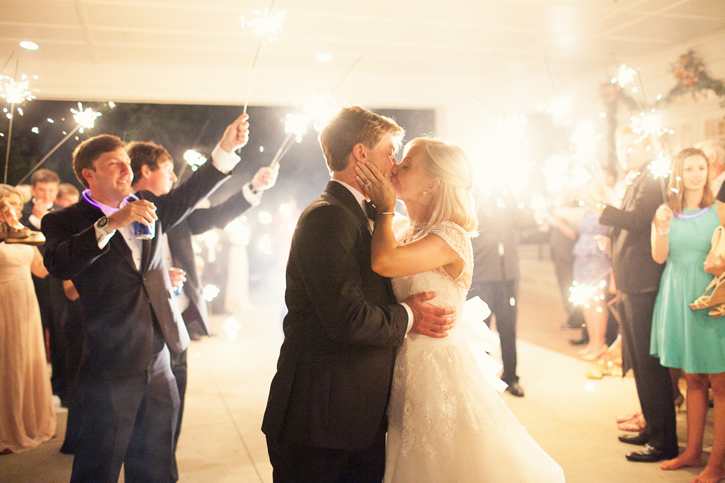 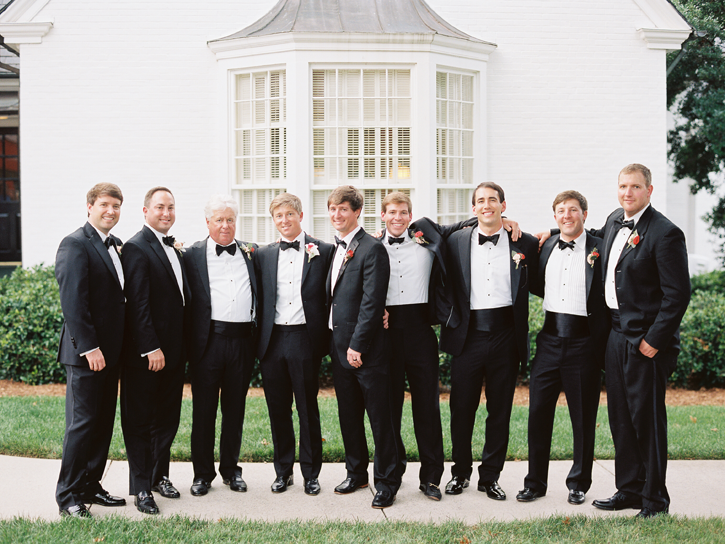 Molly and Patrick’s Winston-Salem wedding was lovely in every sense of the word. 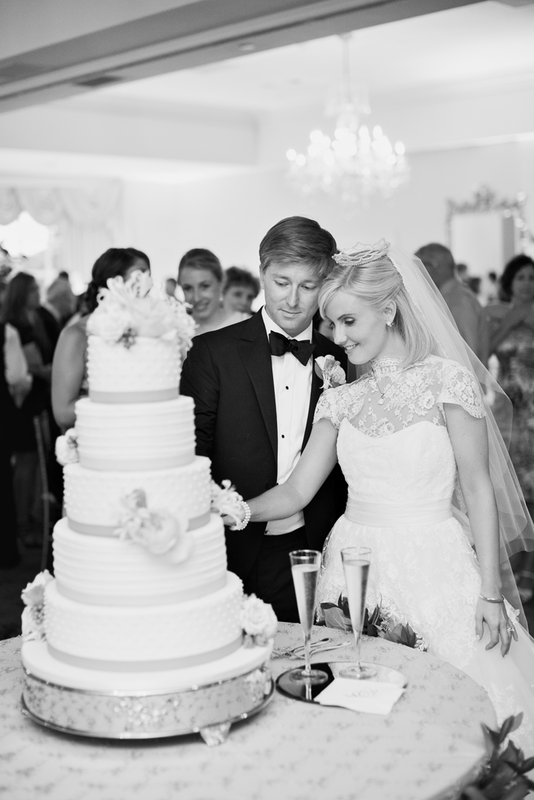 This celebration lasted the entire weekend, and it was filled with friends that love and support them, Molly’s feminine touches, Patrick’s classy style, family that adores them, and the most thoughtful details that made everyone feel so special. 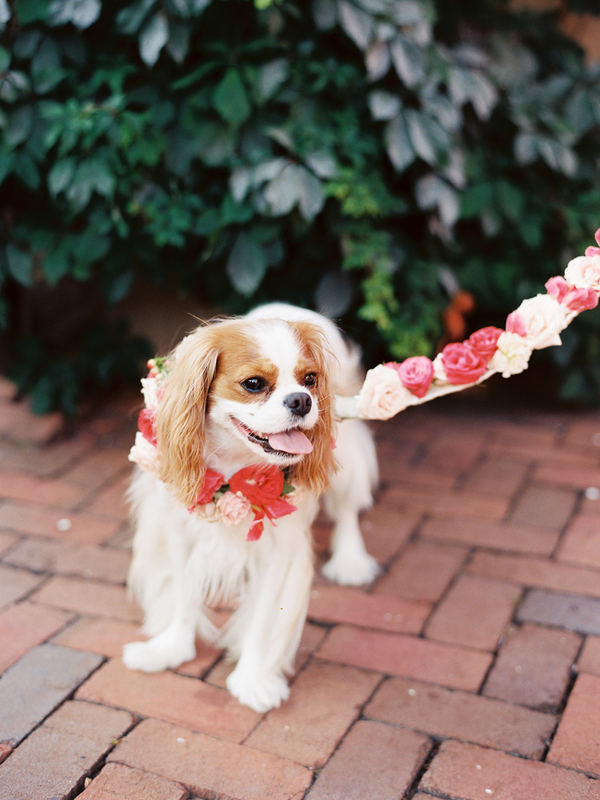 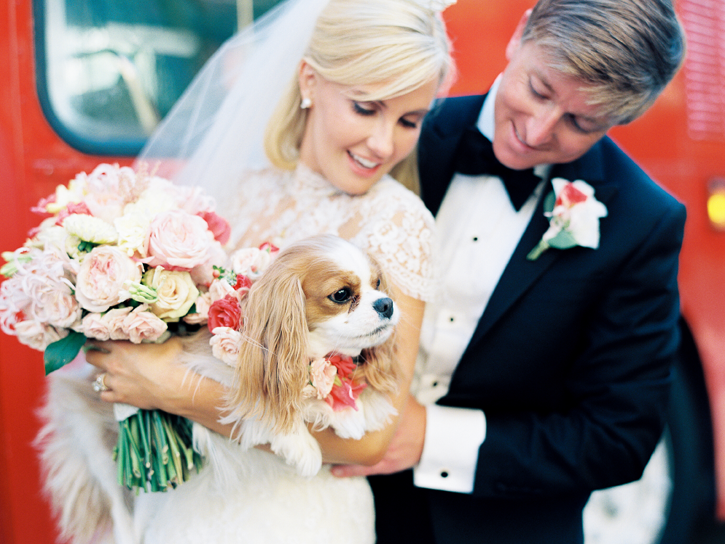 Not to mention – their sweet dog Lucy made an appearance on their wedding day and almost stole the show! 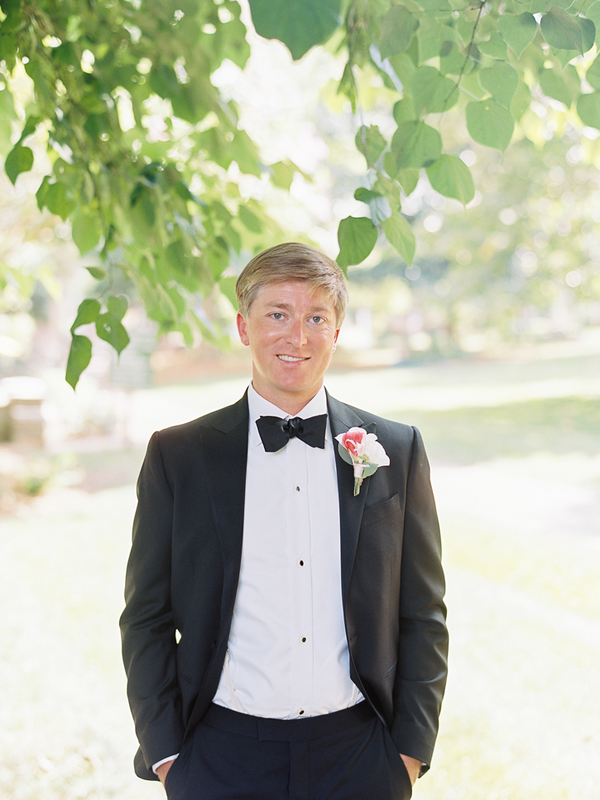 The custom wedding map, the fresh rosemary sprigs on every program that smelled so sweet, the blush florals, the veil Molly’s mom wore on her wedding day, the beautiful ceremony in a historic Moravian church, Patrick’s tailored suit, the custom coozies, Lucy’s custom floral leash, the emotional first look, and to end the evening: Molly’s Dad singing God Bless America with a group of his friends at the reception! 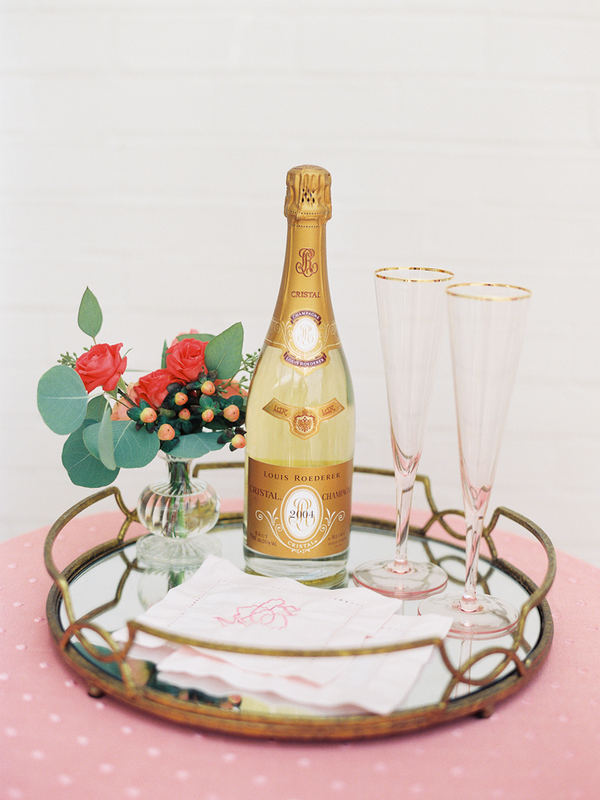 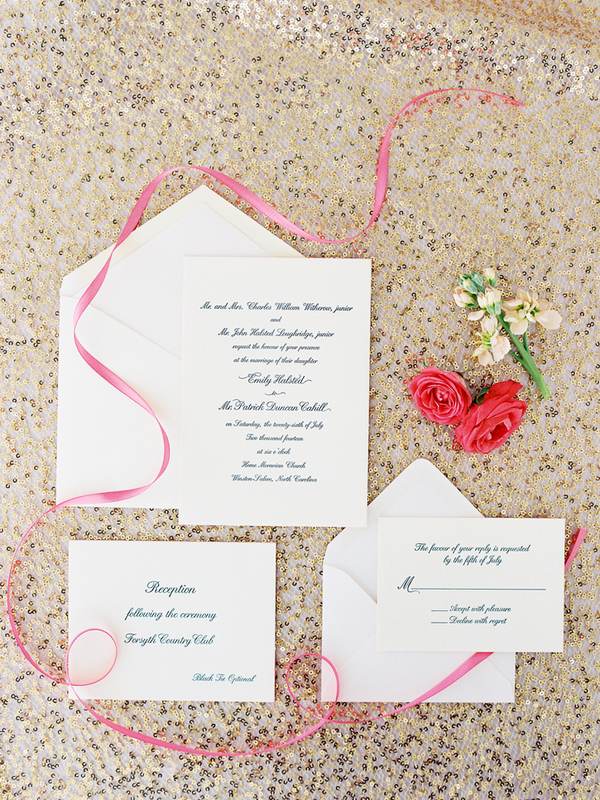 My favorite wedding celebrations are the ones that represent the couple, that are meaningful, that are unique, that are well thought through. 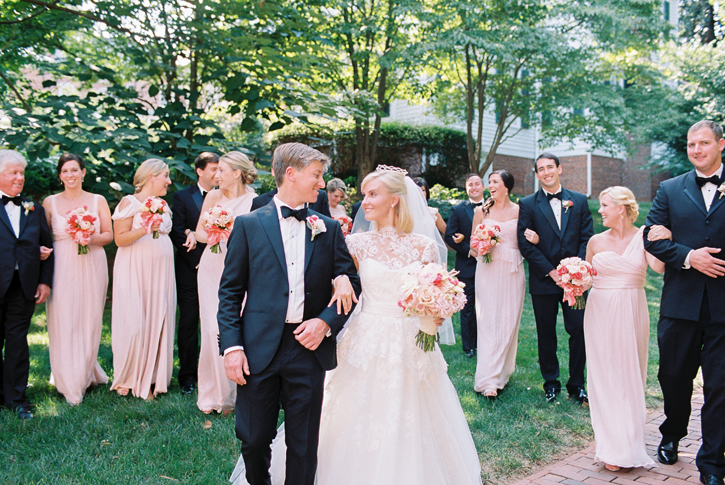 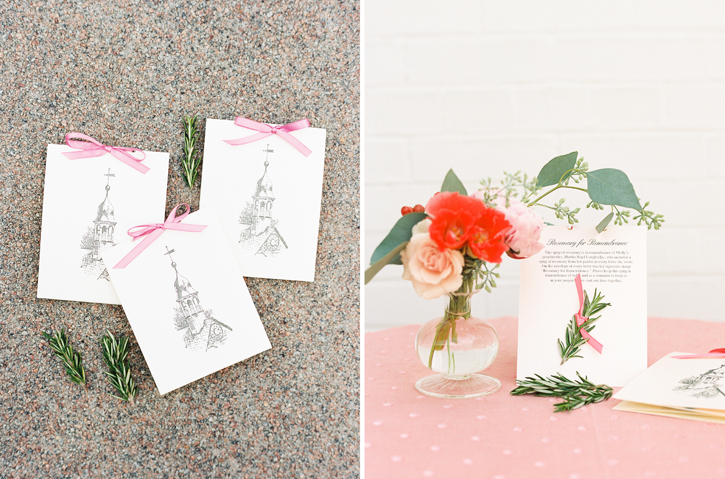 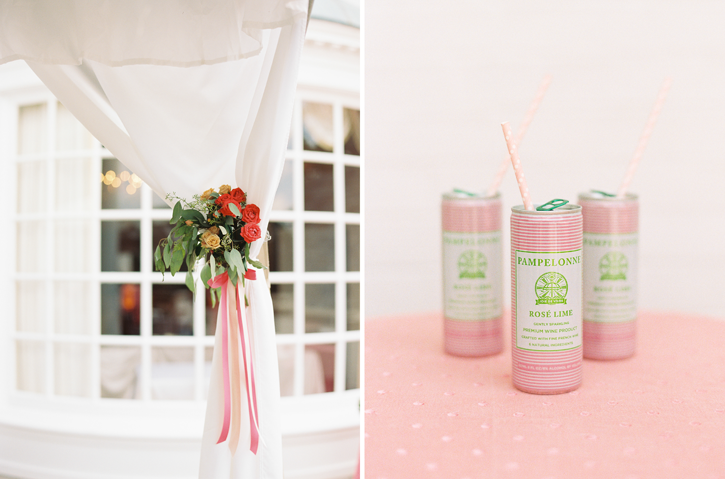 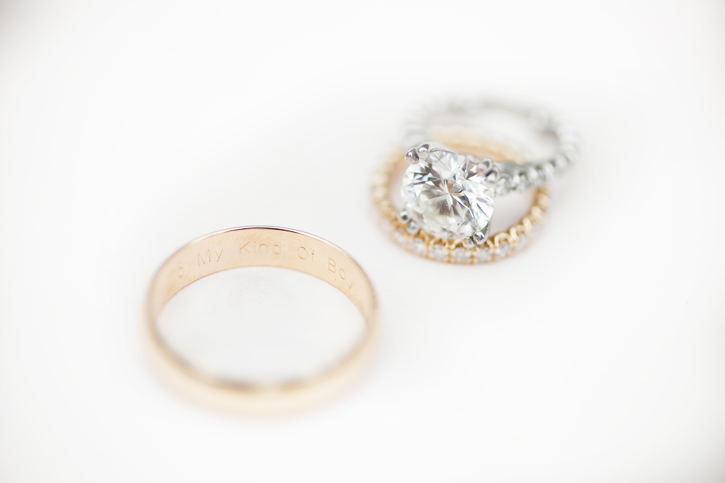 Molly and Patrick did just that – they had a wedding that represented the two of them perfectly. 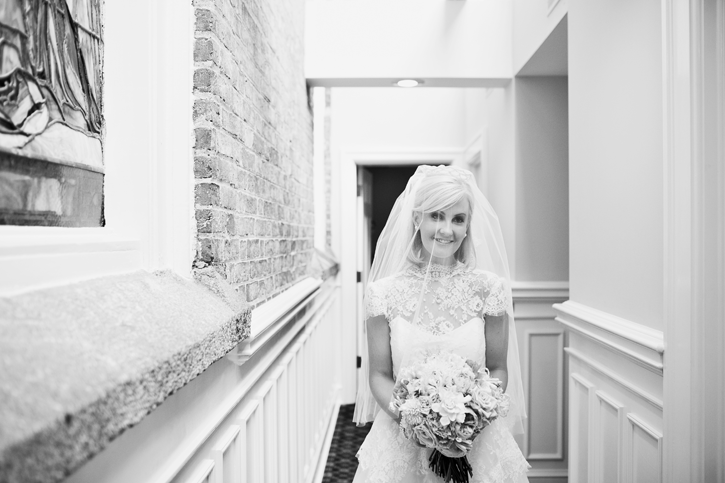 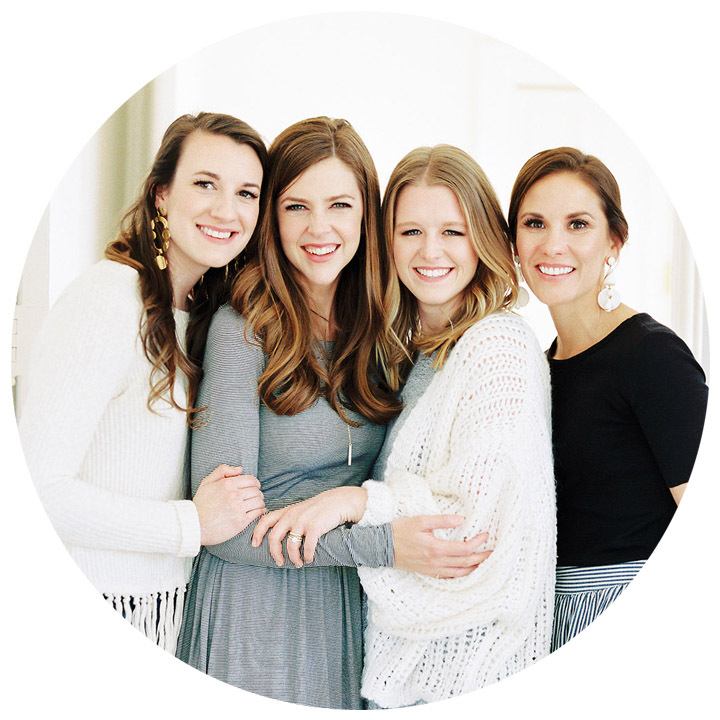 Becca and her team saw that every detail and moment happened flawlessly, and because of that, every moment was filled with joy. 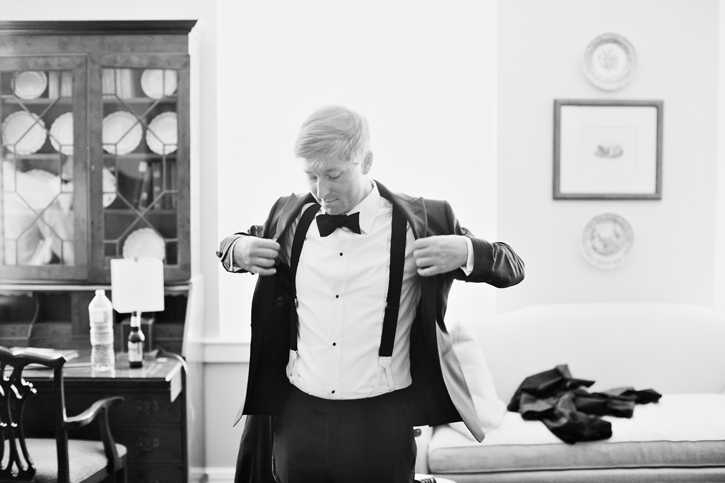 I’m also so grateful that Neil and his team at Iron Kite Films was there to capture those moments. 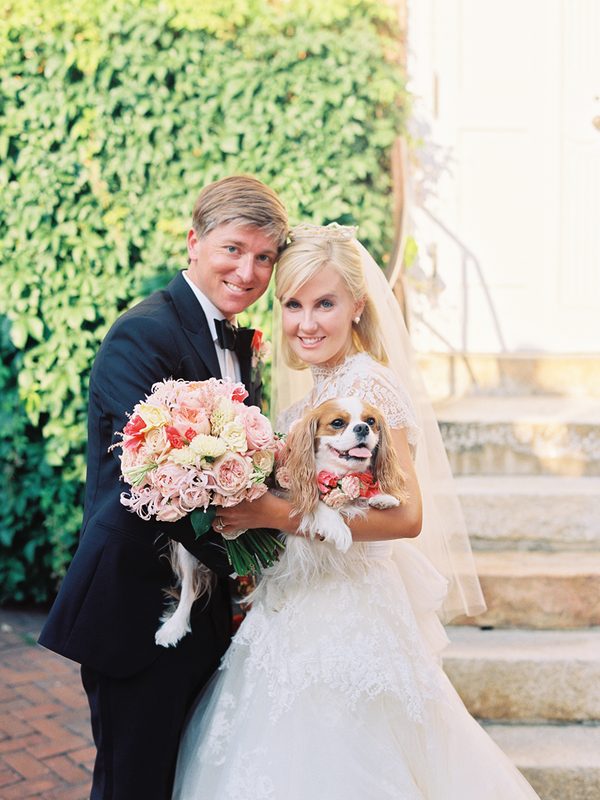 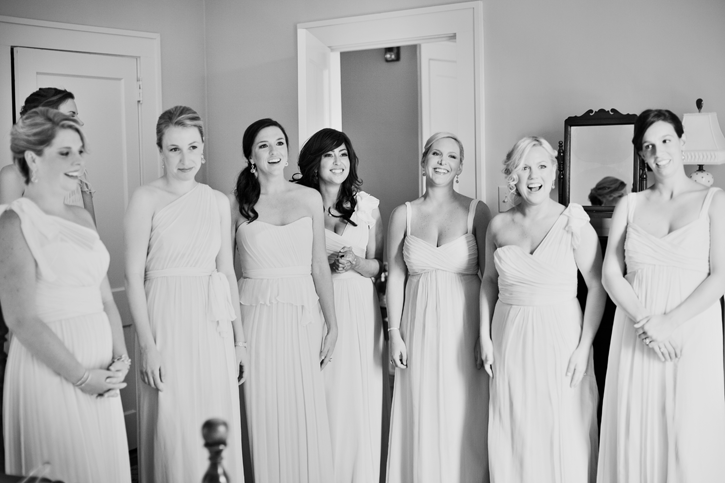 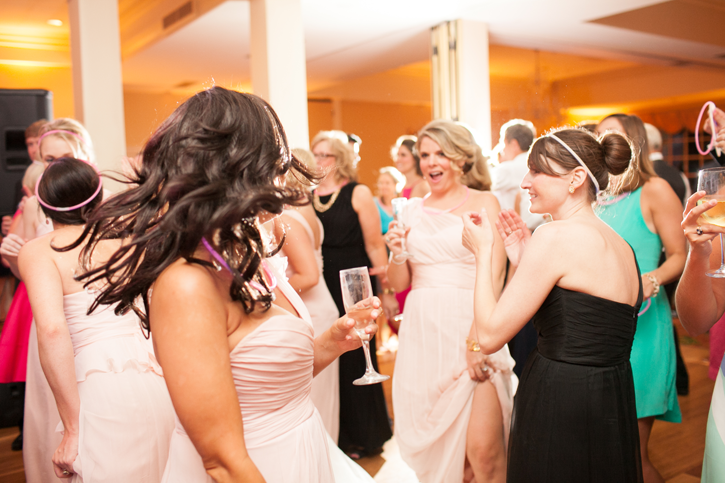 It was a lovely wedding from start to finish – Molly radiated beauty, Patrick couldn’t stop smiling. 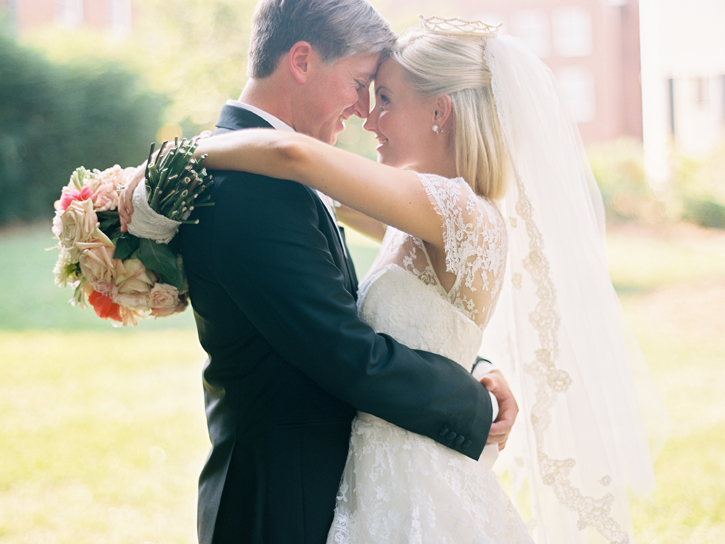 Congratulations to Mr. and Mrs. Cahill on the most lovely day!